Walter D. "Wally" Wood is a graduate of Southern Arkansas University and a Magnolia native. He has been a part of Wood and Wood, Ltd since June 1973. In 1980 Wally passed the CPA Exam becoming a Certified Public Accountant and shareholder of Wood and Wood, Ltd. Wally is currently President and Managing Shareholder of Wood and Wood Ltd. having taken the reigns from former President and father K. Dale Wood CPA in 1985. Wally concentrates in the areas of Tax Services, Accounting Services, and Auditing. Along with the CPA certification Wally has served on the Board of Directors of the Arkansas Society of CPAs as well as Chairman of Management of Accounting Practice Committee (ASCPA). 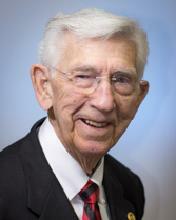 He has also served as President, Vice President, and Treasurer of the South Arkansas Society of CPA's. Wally is also currently a member of the Arkansas Society of CPA's South Arkansas Society of CPA's, a member of the American Institute of CPA's. Wally, having been born and reared locally knows what it means to be a part of the community in which he serves. Wally is currently an active member of the SAU Alumni Association, SAU Rider Club, Magnolia Arts (Treasurer), and Magnolia Rotary Club (Paul Harris Fellow and current secretary). K. Dale Wood is a graduate of Southern State College (now SAU). Originally from the Heber Springs area Dale decided to stay in Magnolia after graduating. Passing the CPA exam in 1962 he founded the firm in the same year. Dale, who is no longer the active President of the firm still plays a major role as Audit Manager. Along with the CPA certification Dale is also a member of the Arkansas Society of CPAs, the AICPA, and South Arkansas Society of CPAs. Dale has also served as member and Chairman on the Accounting and Auditing Committee (ASCPAs) and the Peer Review Committee. Dale is also a member of the SAU Alumni Association as well as a Paul Harris Fellow of the Magnolia Rotary Club. William E. "Will" Wood is a graduate of Ouachita Baptist University. Will joined the firm in the summer of 2013 and passed the CPA Exam in 2014. Will has begun working in the Tax, Audit, and Accounting Services areas of the firm. 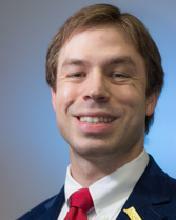 Will is a member of the Arkansas Society of CPAs and the South Arkansas Chapter of CPAs. Will has become actively involved in the community as a member of the Magnolia Rotary Club, Magnolia Arts, and Leadership Magnolia. 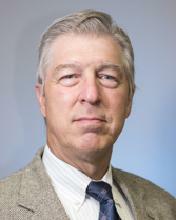 Will also serves as a board member of the Columbia County Community Foundation. © 2019 Wood and Wood, Ltd All Rights Reserved.